Ukraine’s economy has contracted by a quarter due to the conflict in the south east of the country as hundreds of facilities are closed, said Prime Minister Arseny Yatsenyuk. “We’ve lost a quarter of the Ukrainian economy. Hundreds of facilities were closed because of war...” Yatsenyuk said on Tuesday in a conference call to regional governors over budget fulfillment. At the same time the government managed to collect more in taxes than in the previous year, he added. Talking about Ukraine’s fiscal position, Yatsenyuk said the government had managed to accumulate almost $670 million in its single treasury account. "I had a look at the latest statistics. A year ago, the single treasury account held 108,000 hryvnia ($4,600), this morning there were 15.5 billion hryvnia ($670 million),” he said. The funding from the International Monetary Fund (IMF) will help Ukraine service external debt, while tax revenues will be used to finance defense and social benefits, he added. On March 13 the Ukrainian Ministry of Finance confirmed it had received the first tranche of $5 billion as part of the IMF’s four-year bailout program. The total amount of money to be granted to Ukraine from all other foreign creditors will be about $40 billion. Earlier in March Ukrainian Finance Minister Natalia Jaresko said the IMF’s $17.5 billion would not be enough to revive the country’s ailing economy, and that the government would seek more financial assistance from international lenders. 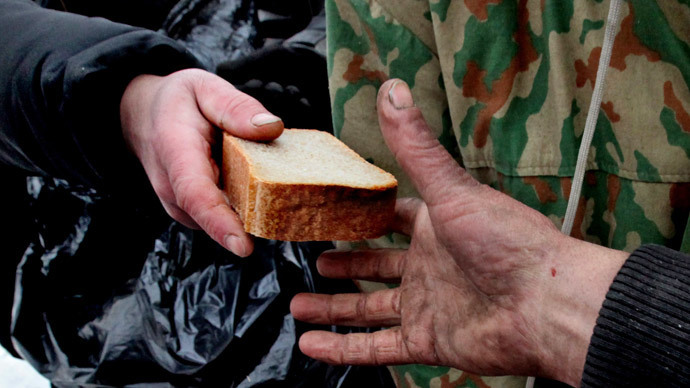 Although the Ukrainian government expects the international aid to help the country overcome the crisis in the short-term, experts suggest the terms of imposing austerity measures would only make the situation worse, as many Ukrainians already live below the poverty line and further cuts in social spending would bring no good. Ukraine’s GDP has shrunk 6.5 percent since the crisis started and the currency has lost around 80 percent of its value. Inflation is expected to hit 27 percent by the end of 2015.